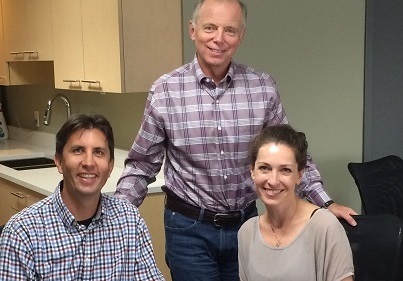 After talking to clients and seeing the success of our educational offerings – we have decided to combine our previously labelled “Knowledge” and “Community” portals into one overarching vision: Wild Apricot Membership Academy. 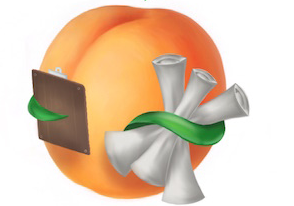 The Wild Apricot Membership Academy was designed to be a hub for everything you need to run your organization more efficiently. 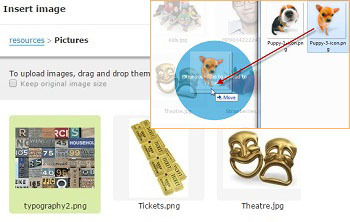 The file selection dialog has been given a complete makeover, making it easier to find the file you are looking for. You can also upload a file by dragging one from your computer and dropping it onto the dialog box. You can now set up events consisting of multiple sessions occuring on different days. This means you'll be able to schedule multiple sessions for one main event and your attendees will have to sign up only once! Learn how your organization can get started accepting and managing online payments! why nonprofits need protection against fraud! Click here to listen OR download the podcast from iTunes. Tell Us What You Think...and Want! We’re now taking feedback from within Wild Apricot. 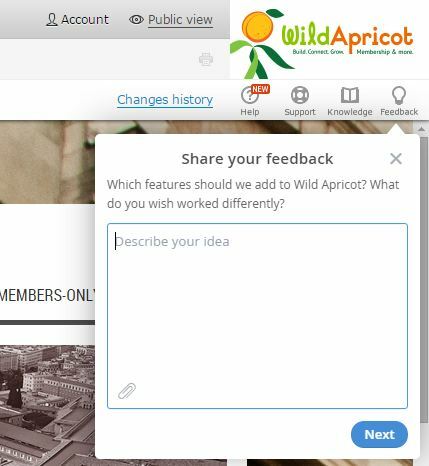 A new icon on the top right of your Admin screen called “Feedback” allows you to share any ideas you may have about changes in Wild Apricot.You can also attach an image or file to further illustrate your point. We will also continue to collect feedback from our clients via our Uservoice Wishlist forum. Read more on how we plan to collect your feedback.